The Moral of the Story is Don’t Lie: Virtuous Books. “Don’t Lie” – The Books Eye View from Vermont: Our local elementary school teaches second graders about proverbs. To wrap up the unit, students put on theatrical productions of their own. At the end of staging the plays, J Lisa’s son said he’d learned “Never trust a liar!” Hmmm, true enough! This recent proverbs unit coincided with the publication of several new books focusing on virtues. It’s good to have lots of reminders, even if you’re a grownup and if you live in such a virtuous state! These are the books that caught the BookJam’s attention. This week we’ve put together a specially themed show dealing with subject of “Virtues” – or perhaps the lack thereof. Over recent weeks, J Lisa took notice of several new releases hitting bookstands that deal with morality in its many forms – some even got play time on National Public Radio. 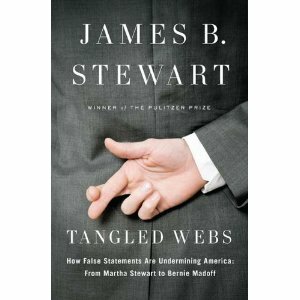 Tangled Webs: How False Statements are Undermining America: From Bernie Madoff to Martha Stewart was discussed in early May on the Diane Rehm Show. It focuses on what author Stewart sees as an epidemic of perjury in our culture — and when the original crime is only made worse when the perpetrator lies about it. 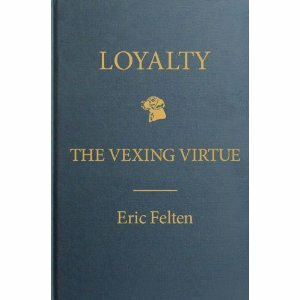 Next we take a brief look at another new release entitled Loyalty: The Vexing Virtue by Eric Felten. An erudite and scholarly work which is also as thoughtful as it is entertaining, Felten explores the history of loyalty — from the way it was understood by the ancient Greeks to our now modern society in the age of Twitter and Facebook. Fascinating, but not entirely surprising considering that the author is a prize-winning columnist for the Wall Street Journal. He was also interviewed on the Diane Rehm Show this spring — maybe she should also get a little credit for noticing this trend in non-fiction releases! 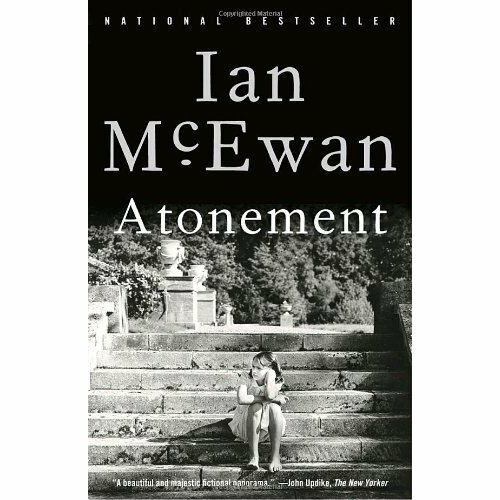 But the majority of our Bookjam conversation focused on the Ian McEwan’s fictional masterpiece, Atonement. This gracefully, perceptively written book examines the the events of a spring day in 1935 that has life changing effects for all involved. J Lisa commented that “this is the only book I’ve ever read where I wanted to reach into the book on a certain page and tell the child to stop!” It deals with perspective, lying, misconception, love and, of course, atonement. Sounds heavy, right? So why would anyone want to read it? The Lisas offer a few opinions: for one, it takes the sedentary act of reading and makes readers want to take a physical action. And, it is helpful exercise in reminding us to challenge our assumptions and to assume other perspectives before judging anyone. Here at The BookJam we always try to end our discussions on light, positive note. 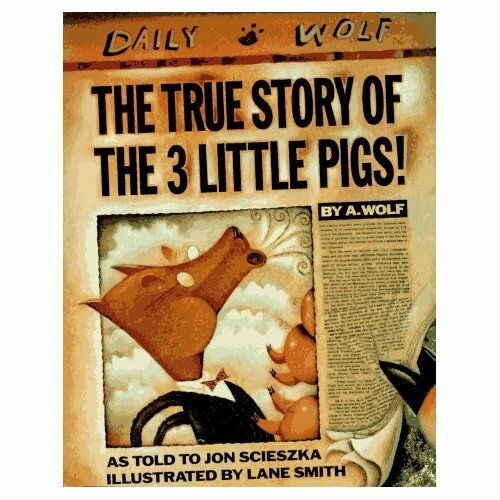 So for the “Virtues Episode”, we close by taking a brief look at Jon Sciezka’s’ humorous book The True Story of the 3 Little Pigs! A picture book for all ages, Sciezka deconstructs this famous fable by presenting us with the big bad wolf’s perspective. Did you ever stop to consider that perhaps the falsely accused wolf didn’t mean to cause any harm – maybe he just wanted to borrow a cup of sugar! Read it and laugh…and challenge your assumptions. The musical selection at the end of our podcast is Annie Lenox’s “Why.” And, we’ve inserted a new tune to welcome listeners: a snippet from Margaret Whiting’s original recording of “Moonlight in Vermont”. It seemed only just a little perfect considering we’re a couple of gals who spend their moonlight hours in Vermont reading up a storm. Happy reading.